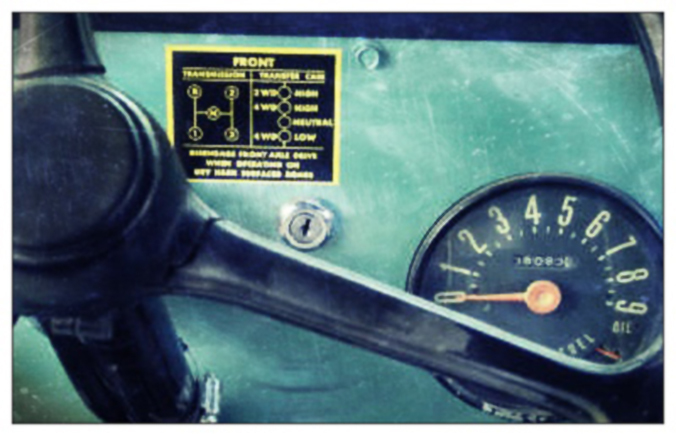 I always loved the simplicity of the CJ-5’s dashboard. It’s going to be hot here today, hitting somewhere in the 90s, just like Palm Desert in the springtime. This is only slightly unusual as of late for northern California. When it’s going to be hot like this, I always want to drive barefoot. Today was one of those days. Driving barefoot always takes me instantly back to western North Carolina, age 16, and this Carolina blue CJ-5 Jeep I owned that at the time was the love of my life. This Friday flashback was further assisted by the fact that John Waite’s “Change” was the first song on my playlist as I drove into work this morning. I always drove that jeep barefoot when it was hot in the summer, doors off, top down, music loud. Damn, I loved that jeep. Maybe you always love your first car, but I like to think our relationship was special. I drove that CJ-5 with love in my heart until I wrecked it one rainy morning crossing the Tennessee River. That foggy drive had been preceded by a very late night with a very big crush, which is a much longer story. Being known for my eclectic playlists, “Highway to Hell” was followed by the old traditional gospel hymn, “In the Garden.” This was my grandmother’s favorite hymn and listening to it reminds me of who she was and what she cared about. My grandmother was known for fostering rare and endangered flowering plants, and she especially loved roses. This song keeps her close. All of these memories bombarded me this morning during my half hour drive to work, when I was reminded that it is the collective of all these small things, no matter how disparate, that creates the whole that is me. That each of us has the same myriad of feelings, sights, sounds, hurts, wants that weave the fabric that is us. I’m heading off next week to a writing conference hosted by Bold Strokes Books to meet a group of, mostly women, that I have never met before. I had this moment yesterday where I was thinking this could possibly be one of those times when as the “new kid” you end up sitting alone at lunch, eating your sad peanut butter sandwich just like Charlie Brown. But then my little trip down memory lane this morning on the drive to work reminded me that I’ve been the “new kid” before, lots of times… and it’s not usually as bad as Charlie Brown makes it out to be. So, here’s to making new friends and extending my chosen family. Wish me luck!